Overheating without a doubt contributes to poor performance, excessive noise and possible premature failure of laptops and notebooks. Sadly, many people still continue to run their laptops without thinking of ways that can help it run cooler. Effectiveness: The cooling pads absorb not only the heat but also the dirt, dust and fibers that get clogged in the vents. Noise: besides quick and reliable cooling, these handy devices produce minimal noise courtesy of advanced motors such as the brush-less types. Dimension: The pads will fit most laptop and notebooks in the market without being too tight, too loose, or too bulky. 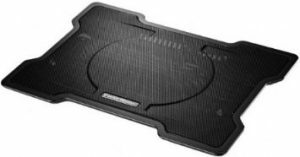 Quality: Cooling pads are made from metal, plastic or crystalline gel in case of Chill Mats. Top types will continue to efficiently cool the laptop or notebook for many years and require minimal maintenance. As the name hints, the Belkin CoolSpot keeps your laptop running cool anywhere and is designed for a wide range of screens. It comes with a simple yet elegant design that ensures proper circulation of cool air while the rubber stop keeps the device firmly in place. 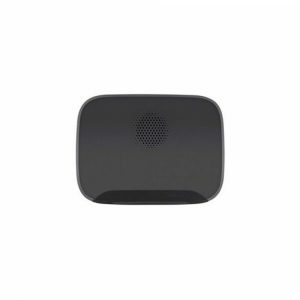 This pocket-priced device is very quiet and features perforated hole for quick dispersion of hot air, LED accents and adjustable top panels. Its cooling capability however isn’t the fastest. Overheating laptops can be such a pain in the rear. 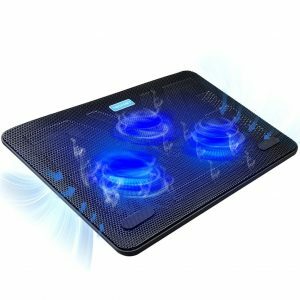 With this TECKNET laptop cooling pad, you won’t have to work with overheating laptops which even burn your laps. It comes with three powerful fans which pull cool air into the laptop. This way, your laptop stays cool thus allowing you to use it for a whole day without any hitch. 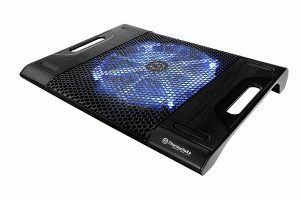 Something else, the cooling pad comes with three USB powered fans and an excellent power switch design. The ultra-quiet operation makes it perfect while the easy to use construction offers increased convenience. There’re two additional USB ports and a Blue LED indicators which confirm the cooling process. Ensure your 15 to 17-inch laptop performs optimally with the Targus Space Saving Chill pad. The Gray/Black accessory comes in a suitable design and L-shaped rubber tabs for supporting the laptop while the dual fans draw away the heat. It runs via a USB cable and has open edges for efficient airflow. The portable chill mat can easily fit inside a suitcase or bag and is ideal for travelling. The fan coverage in the RoHS compliant cooling pad isn’t the best especially with large laptops. Your laptop will serve you well and for the longest time if it runs cool even under extreme operation. This is more guaranteed with the AVANTEK chill pad that is designed for 15 to 17-inch laptops. The Ultra Slim pad comes with 2 silent fans operating at 1000 RPMS, LED lights and is powered via any of the dual USB ports. The metal mesh quickly dissipates the air and comes with 2-height adjustable feet. 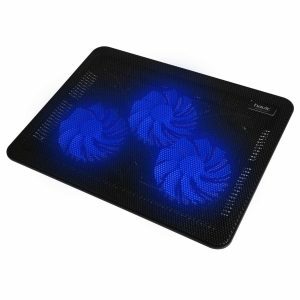 Although effective, the cooling pad seems a bit underpowered in demanding situations such as gaming. 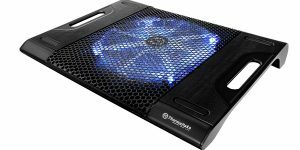 Designed for both laptops and notebooks, the Thermaltake Massive23 LX is among the most efficient and silent over-sized cooling pads in the market. Measuring 230 mm, the pad comes with ultra-silent fans that are quite effective in drawing the heat away from the laptop or notebook. It also includes user-friendly handles, a functional storage space for USB cable and other accessories, On/Off LED switch and On/Off fan switch. The extra long USB cord seems to bother some users. 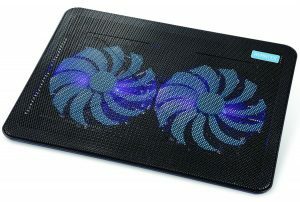 The Targus Lap cooling mat is ergonomically-designed and works with most laptops in the market. The wedge design allows for quicker dissipation of hot air even when the working surface isn’t even or flat. Besides its elegance, this chill pad is quite affordable and portable but unfortunately comes with a single USB port. Bid farewell to a very hot laptop surface or “hanging” screen by going for the Tree New Bee chill pad. It’s ideal for 15-17-inch laptops and comes in a slim and light weight design that makes it easy to carry around. It relies on four 120-mm fans that operate at speeds of up to 1200 RPM to keep things cool while the metal platform draws away the heat. The two anti-skid arms prevent the laptop and pad from accidentally slipping away while the two built-in USB hubs make it easy to connect other USB devices. This cooling pad could have been better if it had extra-silent fans. Cooling your 15 -17-inch laptop is easily accomplished with the HAVIT HV-F2056 cooling pad. The ultra-slim and portable chill pad is powered via a USB cable that runs 3 extremely silent fans. Its ergonomic design together with the two adjustable settings for height provides comfort and encourages speedy cooling. 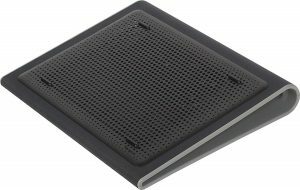 To minimize wear and make the pad more stable, it comes with multi-directional metal mesh while the built-in dual USB hub makes connecting other devices possible. The main downside is that the LEDs can’t be switched off. The Cooler Master NotePal X-Slim comes with a slim design and low profile that makes it well-suited for placing on the desk, table or lap. Despite its slim nature, it is among the most powerful and most silent laptop chill pads in the market. The affordable and reliable pad can accommodate 15-17-inch laptops and is powered with a USB cable. Unfortunately, it comes with no adjustment alternative. Delivering up to 76.6 CFM of airflow, the NotePal X3 is one of the fastest cooling and ultra-silent chill pads for laptops. It comes with a powerful 200mm fan that will keep the laptop cool while the built-in speed controller allows you to choose the desired speed. 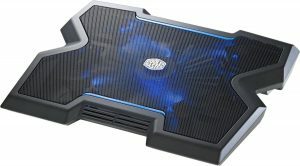 Besides normal computing, this cooling pad is fit for heavy gaming. The design of the chill pad unfortunately isn’t well-suited for placing the laptop on the lap. The acceptance and appreciation of cooling pads has been impressive in the last few years. Nonetheless, there are still many people who are yet to join the bandwagon thus exposing their devices to excessive heat/overheating and likely failure sooner- rather- than- later. The cooling pads lower the ambient temperature extending the life of the built-in component, boost the performance of the CPU and GPU, and also inhibit dirt, dust and other unwanted desires from entering or clogging the vents. 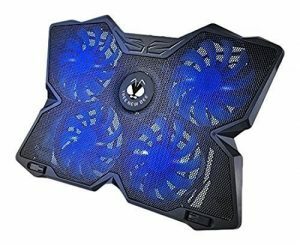 So, after reading the 10 best laptop cooling pads 2018 review, which one do you think is best for your device? Kindly share your comment with other readers.